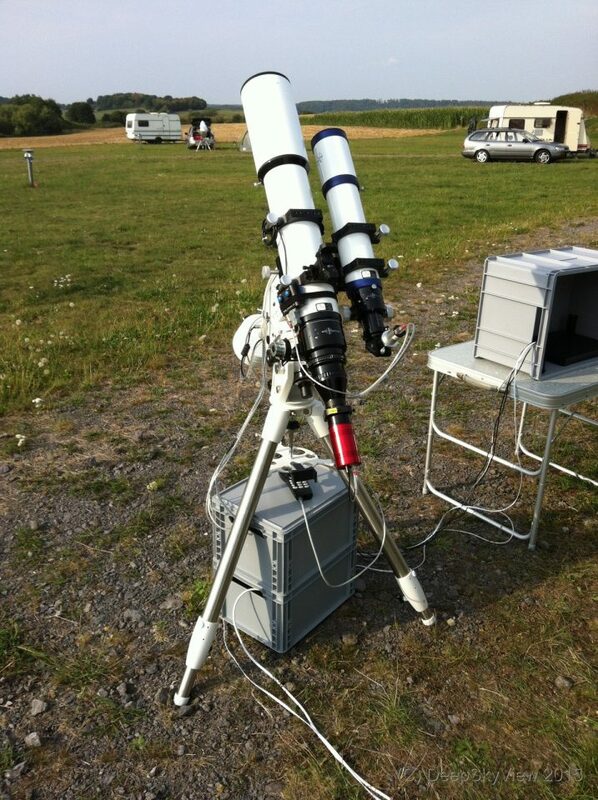 The above image shows a panorama of my dark-site at the Sternenwelt Vogelsberg in summer 2015. There is my little camp in the foreground and the Sternenwelt roll-off building, dome and club house in the background. Of course things are never perfect and finished. A notorious headache with this setup was the flattener, which never really did its job. The Atik chip is quite small, but still I never got round stars in the corners, no matter how much I played with the distance to the chip. Another thing is the guiding scope. The side-by-side dual mount setup looks nice, but but has some flex and attaching the guide cam via a diagonal is also not a great idea. 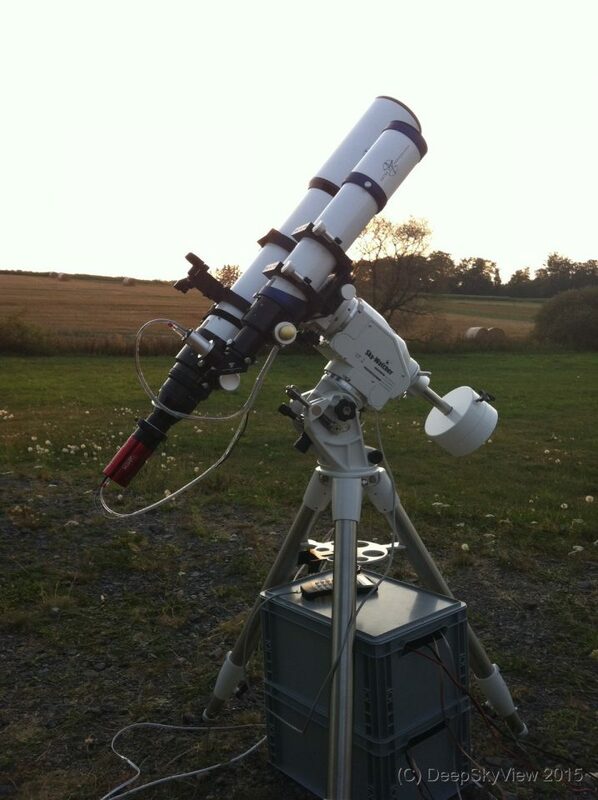 Together all the guiding bits are quite heavy and might simply be overkill, although I got down to 0.5 arc-sec of rms-error in good nights. Finally, a computer control of the mount would be nice... with plate solving and all these creature comforts.